You may have heard the thought experiment of Schrödinger’s cat, a spooky animal who lives in a closed box. 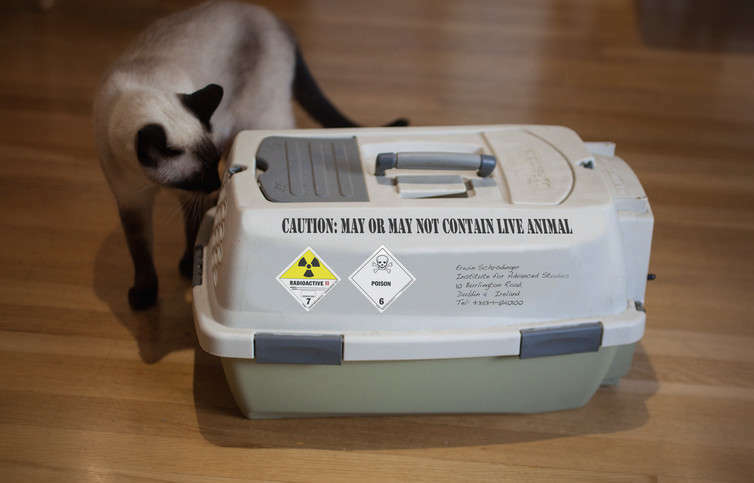 The act of opening the box allows us to follow one of the possible future histories of our cat, including one in which it is both dead and alive. The reason this seems so impossible is simply because our human intuition is not familiar with it. But it is entirely possible according to the strange rules of quantum mechanics. The reason that this can happen is that the space of possibilities in quantum mechanics is huge. Mathematically, a quantum mechanical state is a sum (or superposition) of all possible states. In the case of the Schrödinger’s cat, the cat is the superposition of “dead” and “alive” states. But how do we interpret this to make any practical sense at all? One popular way is to think of all these possibilities as book-keeping devices so that the only “objectively true” cat state is the one we observe. However, one can just as well choose to accept that all these possibilities are true, and that they exist in different universes of a multiverse. However, for string theory to work mathematically, it requires at least ten physical dimensions. Since we can only observe four dimensions: height, width, depth (all spatial) and time (temporal), the extra dimensions of string theory must therefore be hidden somehow if it is to be correct. To be able to use the theory to explain the physical phenomena we see, these extra dimensions have to be “compactified” by being curled up in such a way that they are too small to be seen. Perhaps for each point in our large four dimensions, there exists six extra indistinguishable directions? But given this, the obvious question is: which of these landscape of possibilities do we live in? String theory itself does not provide a mechanism to predict that, which makes it useless as we can’t test it. But fortunately, an idea from our study of early universe cosmology has turned this bug into a feature. 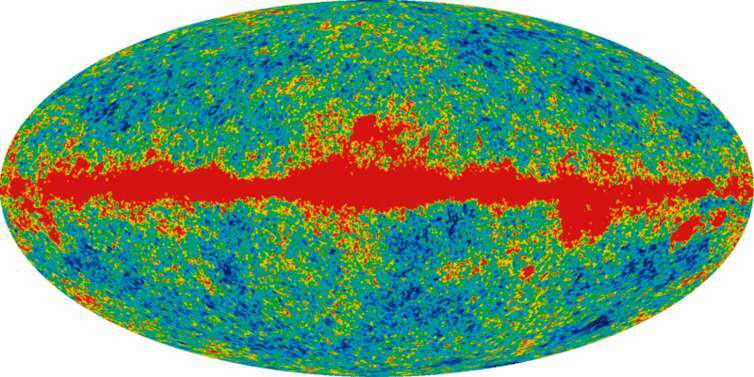 During the very early universe, before the Big Bang, the universe underwent a period of accelerated expansion called inflation. Inflation was invoked originally to explain why the current observational universe is almost uniform in temperature. However, the theory also predicted a spectrum of temperature fluctuations around this equilibrium which was later confirmed by several spacecraft such as Cosmic Background Explorer, Wilkinson Microwave Anisotropy Probe and the PLANCK spacecraft.